Non-nationals contribute genuine value to the workplace, bringing a strong work ethic and essential skills that are often in shortage. Indeed, essential services including healthcare and public transport are propped up by immigrant communities, but are you conducting a thorough background check to ensure that they can legally work? In the UK, we have the DBS check which discloses a person’s criminal record. There’s a range of guidelines to follow which we’ll be exploring in this article. Background checks are essential for all employees–regardless of their origin–especially if they work with children, vulnerable adults, or handle cash. We’re going to explore the importance of background checks when hiring non-nationals and how UK recruitment practices help to ensure that we are certain that the person we’re hiring is a good fit for our industry. The UK has had an established means of checking criminal records for individuals since March 2002, introduced by the Labour government of the time to help protect children and vulnerable adults within public and private service provision. When the check was introduced in 2002, it was known as the CRB (short for Criminal Records Bureau). Prior to CRB, we had List 99; but accessing the details of that list was extremely difficult–certainly too complex for recruiters to regularly follow. The CRB check (now known as the Disclosure Barring Service (or DBS for short)) can be applied for by potential employers with the consent of the individual. The DBS check uses the Police National Computer (PNC) to disclose unspent (and sometimes spent) convictions, cautions, and fines that could indicate unsuitability for employment with vulnerable people and children. Under the Rehabilitation of Offenders Act 1974, however, anyone who has gone to prison and completed their sentence has the right to a clean slate. There’s a period of rehabilitation for all prisoners who have been incarcerated for up to 4 years. Once the rehabilitation period is over, their record is effectively wiped clean. However, for certain offenses (including sexual, violent, and abuse cases) the spent conviction will remain on record and show up on certain DBS checks to help prevent inappropriate employees from having support access to vulnerable people and children. There are various levels of DBS check. The type of industry you’re recruiting for dictates what level you can apply for. Can a US recruiter do a background check on a British national? Of course, a UK national requires a work visa to work in the US, during the application of which they must disclose whether they have a criminal record. Each case is treated individually during the visa application process. It’s challenging to get a work visa with a criminal record. The Rehabilitation of Offenders Act does not apply in the US and, therefore, UK immigrants into the US must disclose their criminal record status. The US and many other countries around the world operate a “Certificate of Good Conduct” system to confirm an individual’s suitability for specific roles. You can go to the local police department where you live or last resided within the US and request a search. If your record is clean, they’ll issue you with a certificate of good conduct. This can be used as confirmation of fitness to work in most categories of recruitment. 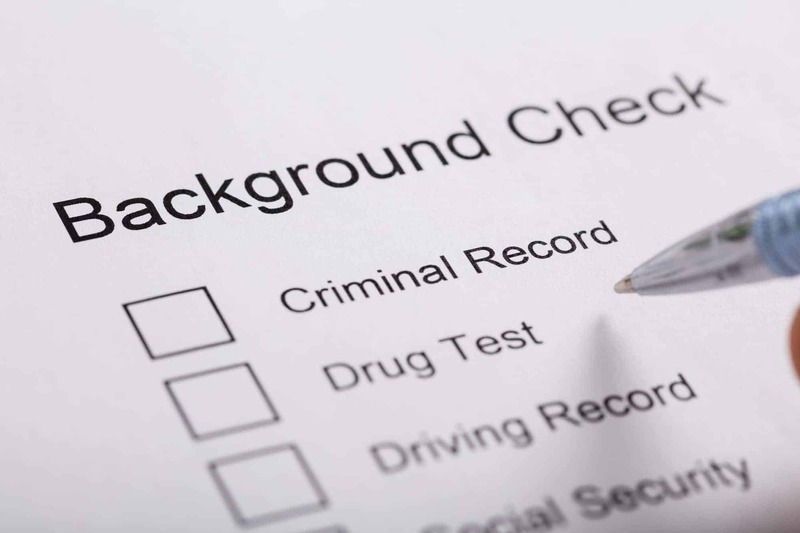 This is where things get a little less clear-cut, but there are still ways in which you can check an individual’s criminal record. Often, the complexity and potential cost of carrying out a background check of a foreign national either discourages the recruitment altogether or is overlooked. However, if you’re recruiting in environments that put the employee in contact with vulnerable people or cash, then you should really follow due-diligence. In the UK, the Disclosure Barring Service can’t access criminal records that are held overseas. In rare cases, overseas criminal records may be held on the PNC. Otherwise, you can apply for disclosure of judicial status from the appropriate embassy. Each country has a slightly different checking process–click here for more information about individual countries. However, the impetus for British HR departments to check foreign national’s criminal status transferred to the responsibility of the immigrant in 2017. On April 6th, 2017, it became necessary for all Tier 2 visa applicants to the UK to provide a criminal record certificate if they are hoping to apply for work in health, social care, or educational environments once in the UK. Applicants who can’t prove their criminal record status are now refused Visas, making the role for UK recruitment a little more straight forward. Do they have the right to work? The recruitment of non-nationals is not without its controversy. However, we’re looking at the legal implications over the moral opinion. The principal minimum that any non-national requires to work in a foreign country is a proven right to work. Most people do this when they apply for their original visa. It’s illegal to hire any person without a certificate to prove that they have the right to work in your country. Next : What Are Your Employees Saying about Your Company? Jagriti is a chartered accountant by profession and her skills from working in a highly regulated profession have been put to good use in the employee screening business. As director of Online DBS Checks Jagriti is at the forefront of the employee screening world, providing clients with pre employment vetting services such as DBS formally known as CRB checking and other background checking. Did Trump Properties Knowingly Employ Undocumented Workers?